Alright, so we’ve given away enough things to prep your skin. Let's add some fun to that smooth, fresh canvas! How about a little makeup? Here’s something to add a little colour to your life. Unny Club’s got just the pair to keep you looking and feeling festive, perfect for matching with your outfit this time of the year. We'll be giving away some of their Triple Shadows and Muse Lip Dial Sticks, so get excited! Unny Club’s Triple Shadows are the perfect travel-sized makeup product to slip into those stockings hanging by the fire. With 3 complimentary shades, these squares come in an array of matches from neutral browns to fiery reds and purples. They’re pigmented and glide on with ease, blending together effortlessly for a seamless gradient on the eyes. Choose to use each colour individually or mix all together for a unique shade. For a little lip action, Unny Club’s Muse Lip Dial Sticks come in two formulas: glosses and mattes. You’ll be sure to find something for yourself in this stash! Containing shea and palm seed butter, these lippies swipe on bold colour while keeping your lips nice and hydrated for a gorgeous pout. Wear them full-lipped, gradient, or mix and match for your signature lip combo. Unny Club is a trendsetting brand that's all about personality and charm, and uses that to create bold, sophisticated products with quality ingredients to enhance the beauty of the urban woman. WIN! 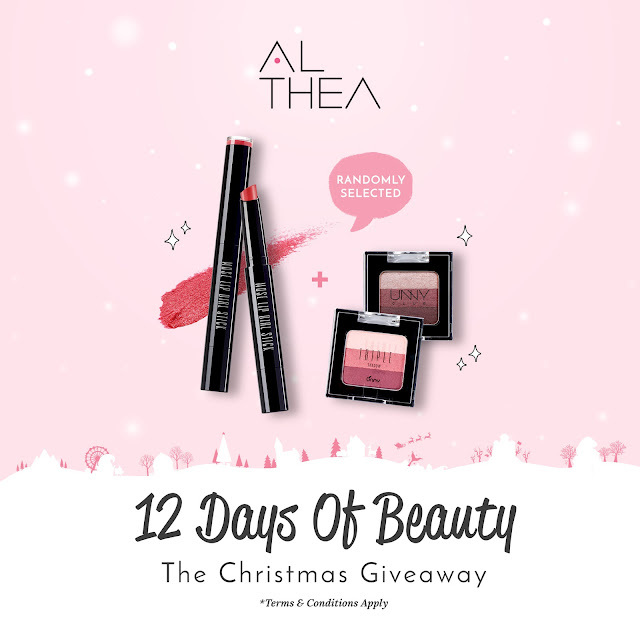 5 Lucky Altheans will stand a chance to win themselves a mix of 10 x Unny Club Triple Eyeshadow and Muse Lip Dial Stick worth USD90! All you have to do is fill in this form with the correct answer to enter. Super simple right? This day's contest ends at 11:59pm (KST) on the 15th of December 2017.